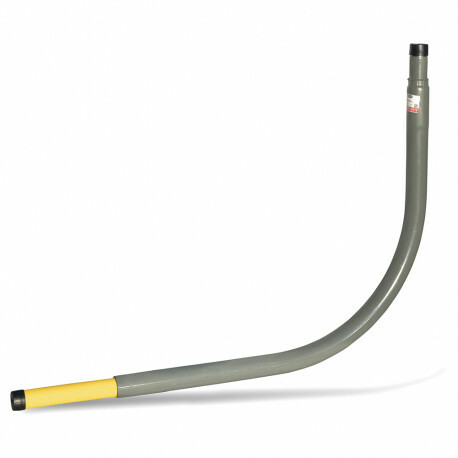 This riser provides a horizontal to vertical, 90-degree transition between 2" IPS (SDR-11) PE underground gas pipe and 2" MIP male threaded steel pipe. Most commonly used to connect PE gas pipe to above-ground meters or gas regulators. Steel section is epoxy-coated for corrosion resistance. Made in the USA. Note: A 2" coupling fitting (compression, con-stab or fusion type) is required to connect the riser to the PE gas pipe.